Whether you’re a business looking to organize your offices or a homeowner trying to make the most of every inch, or you’re in search of custom storage designs, you’ve come to the right place! Your garage is much more than a place to park the car. It’s a room where you can escape to, a place to getaway from the busyness of life. Now is the time to turn something ordinary into extraordinary. Everything we do is rooted in our commitment to offer quality custom storage solutions that help people become better versions of themselves, with more time and space to focus on what matters most. Blue Moon Closet can enhance your home, office, and your life. By implementing custom closets or organization systems you will transform unused areas and help maximize storage in your home. Closet Magician is a closet design and storage expert servicing Santa Cruz County, Monterey County, and surrounding areas. We have been family-owned and operated since 1982 and specialize in design, manufacturing and installation of custom storage solutions for your home or business. Storage and organization are more affordable than you think, and we design around your budget needs. We only use green and environmentally safe products to create your unique designs that will last for years, and can grow as your needs change. Let Closet Magician wave their wand to solve your organization woes. We are experts in creating space, design, and functionality. We can assist you to ensure you are utilizing all the space for your entire home or business. Let us help you take advantage of every nook and cranny. We are committed to helping you achieve the look, feel, and functionality you envision for your space. If your home is in disarray or you need to get clutter under control, it may be time to seek help from a Mountain View, CA professional. Professional organizers in Mountain View can help you get almost any space back in shape, whether it’s your office, a master closet, the kids’ playroom or the entire house. Before hiring a professional organizer, consider exactly what you need. Have you just moved into a Mountain View, CA home and have no idea where to put everything? You may want to consider an organizer who specializes in room-by-room space planning or estate organization. Perhaps you’re faced with a tiny closet and an overflowing wardrobe. In that case find a professional who focuses on closets to help you get back on track. Also consider the types of objects that need organization. Are they items like books, family photos, files or collections? You’ll want a professional organizer who has experience designing custom systems with Mountain View, CA companies that will best fit your needs. Find a professional closet and home organizer on Houzz. 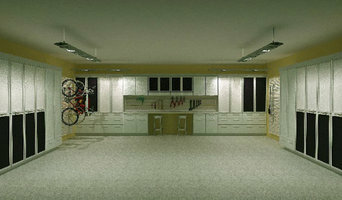 Narrow your search in the Professionals section on Houzz to Mountain View, CA closets and home organization.